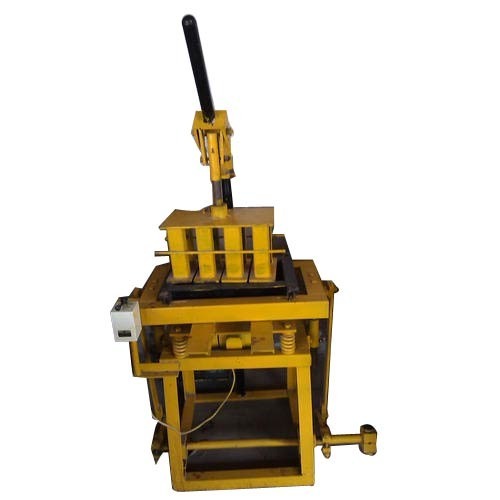 Keeping in mind ever-evolving requirements of our respected clients, we are offering a premium quality range of Manual Hind Brick Making Machine. This product is fabricated from superior grade raw material with the help of advanced technology. Apart from this, clients can avail this product in various specifications at reasonable prices. Founded in the year 2007, in Morvi, (Gujarat, India) we “Shree Ganesh Machine Tools,” are considered among the distinguished manufacturer of a wide range of Paver Block Making Machine, Brick Making Machine, Concrete Mixer, etc. The offered products are highly appreciated among our clients for their features like corrosion resistant, sturdy construction, smooth functioning, durability, perfect finish, optimum performance, easy handling, low maintenance and high efficiency. These products are precisely manufactured using high quality raw material and latest technology as per the set industry standards. In addition to this, the raw material that we use to manufacture these products is procured from the certified vendors of the market. To meet variegated demands of clients, we provide these products in various specifications.